Education drives development in every country and it has been said that a country can only be as developed as its education sector. With technology, a lot is happening in the sector in leading countries of the world, but Nigeria’s education sector, public institutions especially, cannot boast of this experience. 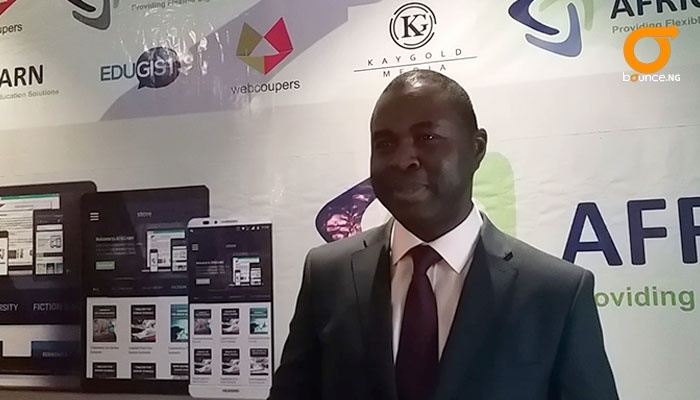 On Wednesday, however, a technology, AfricLearn, was officially launched to provide students of secondary and tertiary institutions and then teachers an opportunity to improve learning. At the launch in Lagos, the Chief Executive Officer of AfricLearn, Mr Femi Sanusi, said it would provide curricular-based online content that would support student’s learning and teachers performance. "It is a competency-based performance pedagogy that enable students personalise their learning. “You read a particular topic and you can test yourself on your knowledge and understanding of the topic based on past questions on it," he told Bounce News. The technology provides students books as learning materials with a yearly charge between 400 and 500 Naira for each book. The technology, which runs as an application on mobile phones and a website, allows students study online and offline, Learn objects mapped to exam-oriented context. For teachers, it is an easy to use interface with graphic analytics and it allows them to plan and execute classroom teaching effectively. They can also share teaching notes and automated tests while they also access students real time performance data. With the technology parents can actually sign up and monitor their child’s performance to know how well the child is doing with his studies. However, parents' duty begins in monitoring the child to ensure he or she reads the books after they have paid for the yearly subscription. Mr Sanusi said the books would become inaccessible once the one year subscription period for the book was over. At the moment, only materials for secondary schools students are available and the CEO said the talks are at advanced stage with publishers of books for tertiary students and that they would be made available soon. Learning is taking different shapes and technology is driving the trend. While some learn in schools, some persons who do not have the opportunity to go to school are doing some unusual things. Bounce News found one of such persons in Makoko.